Recent turmoil in Egypt has brought hope to many Egyptians of a better future. While many democratic states have praised these events, authoritarian governments such as Yemen and Saudi Arabia fear the consequences of similar uprisings. Although we should not expect North Korea to be happy with Mubarak’s demise, it remains possible that Pyongyang will continue to have positive relations with any new regime in Cairo. The history of the short yet cordial relationship between both states provides insights about its likely future course. With its isolationist nature and a strong pro-ethnic Korean rhetoric, one might initially have thought that North Korea would have had little interest in forging ties within the Middle East. But during the Cold War, Pyongyang’s relationship with the region was based on a complex strategy of attempting to gain direct benefits while simultaneously weakening the South. North Korea’s “anti-imperialistic”, posture and its ties to the Soviet Union had interesting ramifications in the Middle East. The most famous example would be the DPRK’s arms sales to Iran during the Iran-Iraq War, when Teheran was believed to have spent almost 40% of its arms acquisition budget in 1982 on imports from North Korea. But prior to this, it was Nasser’s 1953 coup d’etat that paved the way for North Korea’s first forays into the region under Kim-Il Sung. This was thanks to the combination of Nasser’s charisma and the rise of ‘’socialism’’ and pan-Arabism in the Middle East at the time. Egypt, like many of its neighbors, was unwilling to merely become one of Moscow’s puppets. So with its Juche ideology and relatively independent stance towards the USSR, North Korea was an attractive ally. From Pyongyang’s perspective, the Middle East could not only provide benefits in trade and military exchange, but could also be used as a tool to alienate South Korea in the region. With its unique standing, Pyongyang invited Egyptian government officials, intellectuals and students to North Korea, while also establishing several bilateral agreements on trade and economic cooperation, mass media science and culture. North Korea’s most infamous exports are arms, and the 1967 Six-Day War and the 1973 Yom Kippur War provided golden opportunities for Pyongyang to increase sales in this area. In 1967, North Korea sent soldiers and pilots to Syria and combat training officers to the Palestinian Liberation Organization. In 1973 thanks to a ‘longer’ conflict, North Korea managed to train Egyptian military officials directly in North Korea, also sending some 30 pilots and missile technicians to Egypt. Egypt is believed to have sent Scud-B missiles to North Korea as a gift for its support during the 1973 conflict. 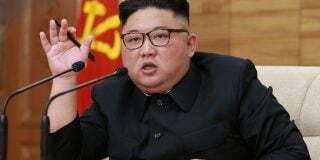 Unlike during the heydays of the 1950s and 1960s, North Korea’s economy started to implode during the late 1970s due to massive military spending, increasing oil prices and ill-conceived domestic policies. Simultaneously, South Korea’s economy was booming, providing an attractive market with a multitude of business opportunities for the outside world. During this time relationships between Cairo and Pyongyang remained warm, but their growth started to slow, increasingly focused primarily in the military sphere. At the same time, South Korea was becoming an Asian Tiger whose economic growth could not be ignored by Cairo. Although South Korea’s influence grew in Egypt during the late 70s, North Korea nonetheless remained a solid ally for Egyptian leaders, with Cairo only recognizing the ROK as a nation state as late as 1995. Ironically, Sadat recognized the long time Israeli ‘’enemy’’ far earlier, in 1979. After Mubarak’s take over, North Korea almost uniquely a military supplier, focused especially in missile acquisitions. During the Iran-Iraq War, North Korea shocked its Middle East “allies” by taking Islamic Iran’s side (certainly due to the strong anti-American rhetoric brought by Khomeini). 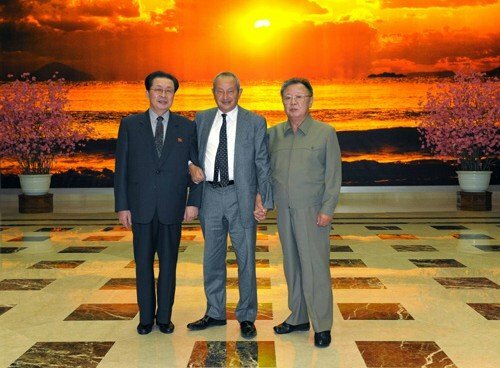 Despite massive American aid, and North Korean aid to Iran, Mubarak was still willing to keep warm military ties with North Korea, actually visiting the Hermit Kingdom four times between 1983 and 1990. Reports from the CIA argued North Korea made a few military shipments to Egypt in 1996 in order to build long-range missiles such as the Scud-C. Egyptian officials usually denied such claims. Military trade had been in such good shape that economic ties in other areas soon emerged, especially in the field of telecommunication, the most notorious example being Orascom Telecom. This Egyptian based company is part of the Orascomhodling company, which also specializes in construction. In 2008 CHEO Technology (joint-operators of Koryolink) was created to provide North Korea with a cell phone network. While Korea Post and Telecommunication Corporation owns 25% of this company, Orascom owns the remaining 75%. As part of the deal, Orascom agreed to invest nearly $400 million by 2012 in North Korea. With over 225,000 subscribers in 2011, the state-own Egyptian company is well aware of this somehow “growing” market. In a recent Financial Times interview, Orascom Telecom’s CEO Khaled Bichara declared he had high hopes for the communication market in North Korea, despite the fact that cell phone prices are well beyond the capabilities of most North Koreans. The almost personal relations between the Dear Leader and Mubarak cemented the ground between the two states during Mubarak’s tenure, especially given that both states were founded on a dynastic power change system. Because of the nature of Pyongyang and Cairo’s relationship, neither South Korea nor the willfully blind United States could do much to influence Egypt to sever its ties with the DPRK. However, might the recent departure of Mubarak now seriously harm this relationship? As we know, North Korea is a failing economy, despite reforms and foreign aid. But the current events in Egypt might actually provide a new opportunity, at least from a North Korean point of view. It is rational that North Korea hopes for either a military rise after Mubarak or a more religious-oriented regime similar to that of Iran, the 30-year old North Korean ally. Either outcome would likely decrease Egypt’s ties with the U.S. and the West in general, just like the rise of Nasser and Khomeini did decades before. 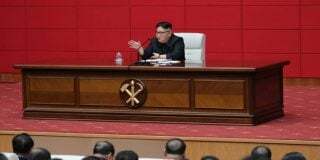 With Syria, Iran and the Hezbollah in Lebanon, North Korea has proven to be a reliable military-oriented technology supplier for religious groups, despite it being “an atheist’” and a reclusive state. That said, many experts do not believe the Muslim Brotherhood or any other radical organization will seize complete power in Cairo. However, the small chance this outcome may happen may well be enough to motivate Pyongyang to continue monitoring the situation closely. Division within the current military regime might be more likely, but compared to division within economic or foreign policy political circles, the military will likely benefit even after elections take place in September. In case of contested results, so often the case in developing countries, the military might take advantage of the ‘’electoral chaos’’ to not only stay in power with quasi-legitimate reasons but also to enhance its grasp on Egypt. In such a case, it is likely that North Korea would remain a friendly regime thanks to both actors’ military orientations. In the case of a civil victory in Egyptian politics, relations with North Korea would depend on external factors such as western pressure and calls to warm relations with western values on the one hand, but also approaches from soft powers like China on the other. Clearly, a best-case scenario for North Korea would be a strong Egyptian military influence on the country. The Pyongyang regime has had played a small yet surprising role in Egypt since 1953, and neither the pro-US Mubarak, the end of the Cold War, nor the emergence South Korea, the second most developed nation in Asia, alienated North Korea from Egypt. The U.S. should thus encourage the formation of a secular, military-free, democratically elected government in Cairo. 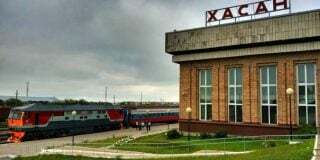 Such a government might then seek to redeem itself from 30 years of dictatorship and attempt to gain international recognition, starting by turning its back to North Korea. Egypt might thereby provide a new way for the international community to further weaken North Korea’s illicit arms trades. However, one must keep in mind that the network of illicit trade is very complex, and Egypt could take advantage of its friendly relations with other African states to acquire North Korean-made weapons through another vector. With this strategy, Egypt could appear increasingly legitimate while still maintaining Mubarak’s old arm’s acquisition policies. Subscribe to read the remaining 1392 words of this article.